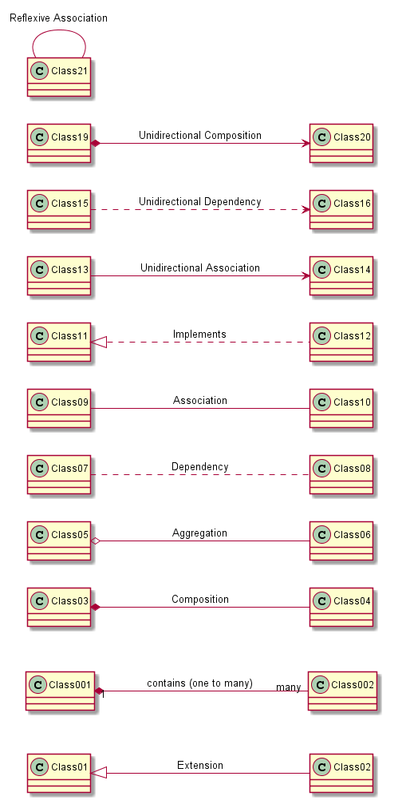 Here an excellent explanation of the different types of dependencies amongst classes. Here are all the sort of relationships you can draw. As a simple reminder, Composition, Aggregation, Dependency, Association are in decreasing order of "tight coupling" between 2 classes.